Rabbit There are 13 products. In bag. Roughly 1 meter. Wide 1/8". Available in 37 colors. Bag. Roughly 1 meter longer. 1/8" Wide. Available in 33 colors. 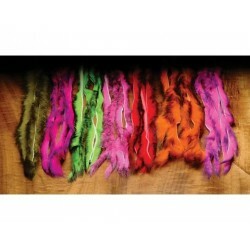 Hareline - Rabbit strip - Magnum - Wide 1/4"
In bag. Roughly 1 meter. Wide 1/4". Choice of 27 colors. In bag. Roughly 1 meter. Wide 1/8". Choice of 13 colors. 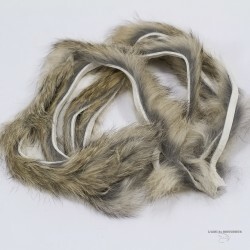 Hare's Masks with Ears - Choice of 15colors. 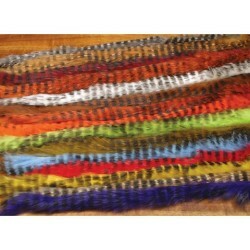 Wide 1/4" Choice of 13 colors. 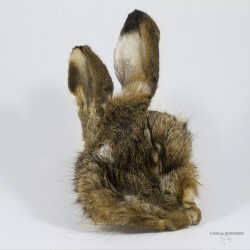 Hareline - Rabbit Strip - Two Tones. Bag of 3'. 1/8" wide. Choice of 7 colors. 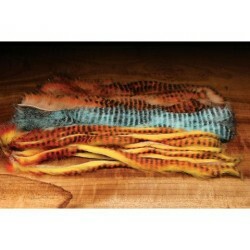 Hareline - Rabbit Strip - Black Barred. Bag of 3'. Wide 1/8". Choice of 15 colors. Hareline - Rabbit Strip - Brown Barred.